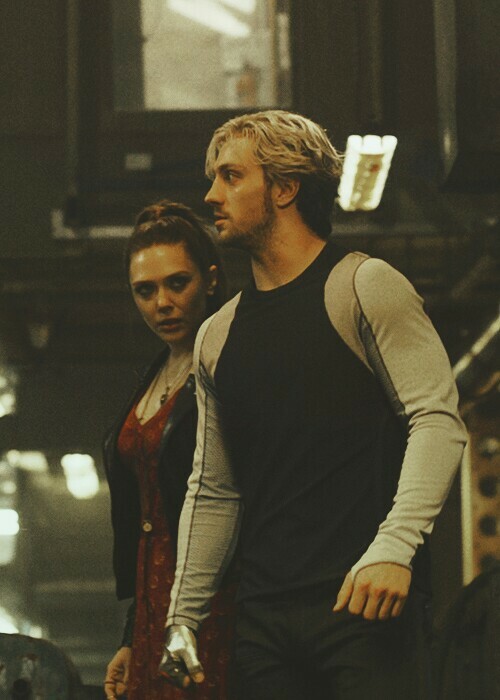 Pietro and Wanda. . Wallpaper and background images in the the avengers club tagged: photo avengers: age of ultron movie elizabeth olsen wanda maximoff scarlet witch aaron taylor-johnson pietro maximoff quicksilver. This the avengers photo contains setelan jas untuk bekerja and setelan bisnis. There might also be berpakaian orang, jas, celana jas, celana panjang, orang berpakaian, perapi celana, jalan, pemandangan kota, perkotaan, kota adegan, perkotaan pengaturan, hip boot, and thigh boot.